Bummer dude, hope things work out for you. I had the same problem, on my '06. I searched and searched for a CGM passenger side fender and got beat twice for some. I ended just buying a oem one. Some person at work decided to not leave a note after their terrible attempt at parking. This is the fourth time someone has dinged or crashed into me and not leave a note. Technically probably 10+ times, but those are somewhat minor compared to this. People these days disgust me. Location: get on!get on!get on!get on!get on!get on!get on! Car Info: get on!get on!get on!get on!get on!get on!get on!get on! by the way are your tires not properly rotated? Yeah I actually have a ton of scratches and other dings on the car. 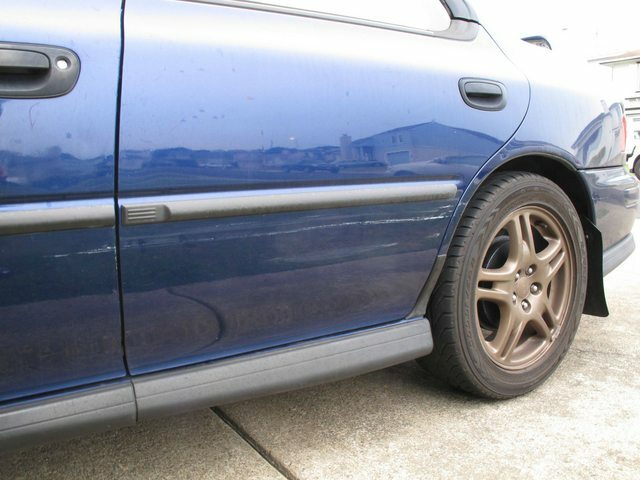 In fact my rear bumper is a tad chewed up on the corners if you look close from people parallel parking and stuff. If they at least left a note and apologized I would be satisfied. I wouldn't even have them pay for any damages. I've taken out maybe 50% of the marks using some Meguiar's Ultimate Compound. 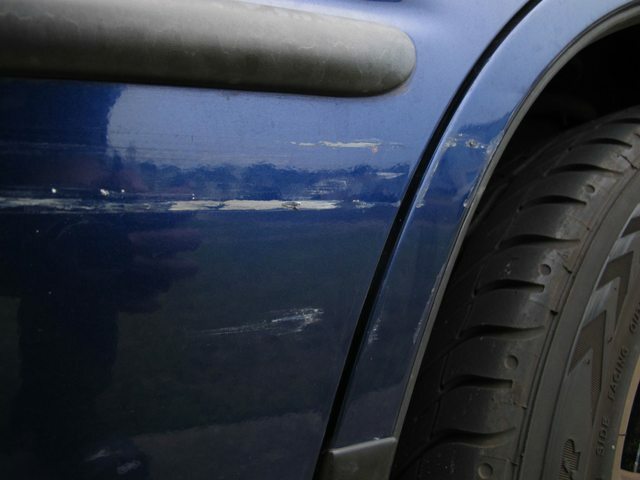 I can't do anything about the scratches that removed the paint. I was outside the bank on the phone and caught someone else hitting and running on another persons car. The lady was in a suv parked next to a sedan, then turned her wheel full out and started backing out. She backed right into the other cars rear quarter panel. Good thing they came out of the bank right after, I told them what happened and which car, and they took off after the old lady. That looks like surface paint transfer. Are there any sections that are through the paint layers? Give me a pm if you are interested in getting that section corrected. Fourth time? Damn, that's some bad luck :/. I guess I should consider myself blessed I've only had 2 major hit and runs since I've owned my car (10 years now). A lot of the damage looks like it could be fixed with a good detail though. did you get the witness name number? call your insurance place and get comprehensive. wait like 2-3 weeks and call it in. it's shady but if you are desperate its a option. yeah, good call suggesting insurance fraud - a felony - on a public forum frequented by LEOs. sorry about all the damages man i hope it gets all sorted out. not suggesting you do insurance fraud but have you changed your insurance policy yet for any future damages? i know this sounds weird but it was actually cheaper for me to have full coverage then liability on a couple of my past cars, since then ive just kept getting full coverage. Unless its the paper plate then if the police actually do work they could probably track them down. Jeez man...Ill be on the look out for a messed up caravan with dealer plates. I effin well hate people on their phones while driving. I honked at a lady in front of me yesterday for not seeing the light was green for like 10 seconds because she had her phone all the way up to her face, then she looked at me like I was stupid. She can look at me stupid all she wants, I will effing honk again. Had something similar happen this morning except she wasn't on the phone, she was just a moron. It isn't like it is a SURPRISE that the light turned green. PEOPLE are the reason why I have full coverage on all my cars. Last edited by 04GG; 08-15-2012 at 10:01 AM. Quick Reply: Hit and Run FTL!